Located on the ground level of the Zen Tower in Dubai Marina, Dubai, Royal Kitchen Kuisine serves variety of cuisines, but it is mainly known for serving Indian and Pakistani dishes. Besides this, its chefs also prepare Arabic and Chinese fares along with variety of pastas on request. This makes the menu of Royal Kitchen Kuisine quite varied, which guests can relish while watching entertainment or sports channels on the big screen TV at this venue. The interior furnishing of Royal Kitchen Kuisine is not too bad either, as walls are painted with wine-red colour and a bar type counter looks over the entire seating area, which comprise of both booths and dining tables. Basically Royal Kitchen Kuisine serves Indian and Pakistani cuisines, but you will also get some Arabic dishes on its menu as well. In addition to this, they can also prepare pasta and Chinese dishes on request. Therefore, guests can enjoy delicacies of different regions at this bistro in a family friendly environment. 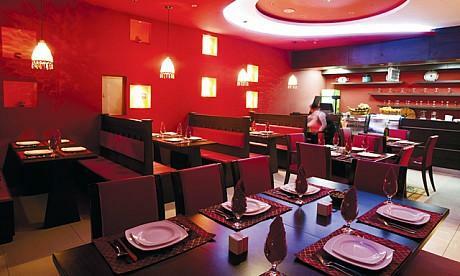 Menu includes both non veg and veg dishes, in addition to the different desserts. Aside from this, guests can also take pleasure from this bistro’s delicious food in its private dining facility that is a great feature, especially to spend a romantic evening. The daily regular operational hours of this restaurant begins at 10:00 am and comes to an end at midnight. This bistro opens on all days of the week. Zen Tower, Dubai Marina - Dubai - United Arab Emirates. The distance from nearest metro station of the Royal Kitchen Kuisine is more than 2.5 kilometres therefore use a bus or car to get close the Zen Tower, where this bistro sits. Dubai Marina Tower 3 – Dubai bus stop is 750 meters away from the Royal Kitchen Kuisine. This makes it a 9 minutes walking journey, after arriving at this bus station from bus number F37. 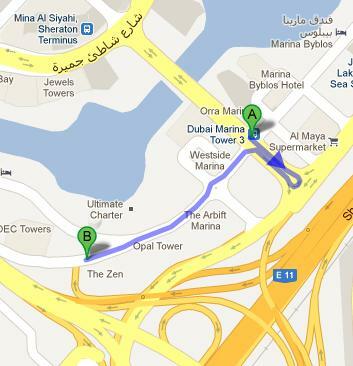 To reach this bistro from Dubai Marina Tower 3 – Dubai bus user needs to head in the southeast direction and then continue straight, before going through one roundabout, from where destination is just few meters away on the left side. See the map for directions.